Dog and Cat CPR Training! Would you know what to do? This class does! 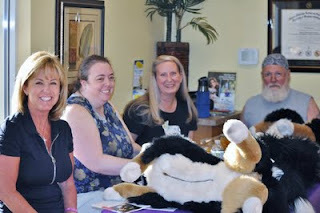 June 6, 2011- Bo & DeeMo's CPR Class hosted by Camino al Norte Animal Hospital. A great class with very important information! "I get hundreds of emails a week with questions on CPR, dog fights, Vets, illness symptoms from our fans asking me for help. 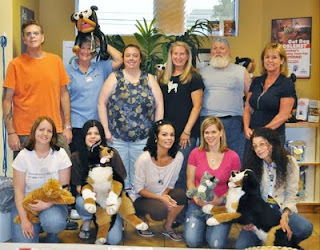 Although I've been "Human CPR Certified" a LONG time ago, it was time for me to get PET CPR educated! Listening to fans, we partnered with our favorite Animal Hospital, Camino Al Norte and Dr. Carlos Varela and asked American Red Cross to instruct our fans on this important information. Everything got covered: Over heating, bandaging, muzzling an injured pet, safely transporting an injured pet, what to do and NOT to do in an emergency, Pet first aid kit necessities, toxic foods for pets and so much more. One of my favorite parts of the class was the students sharing breed specific concerns, and getting breed specific answers from other students, Dr. Varela or myself. Even our Instructor, Jinny learned "Bully" tricks and first aid for our special breeds. Most of us owned packs! The Pugs were represented, Frenchies, Bulldogs, Pitbulls, Poodles, Beagles, Cats, Rabbits to name a few! I can't stress enough how IMPORTANT this class was and is for future attendees. If you have ONE pet, this is a MUST to attend. Rescues, Foster Parents, Owners of Companies in the Pet Industry, Pet Friendly Businesses and Animal owners...PET CPR will educate you beyond belief and help prepare you to save a FUR LIFE!" 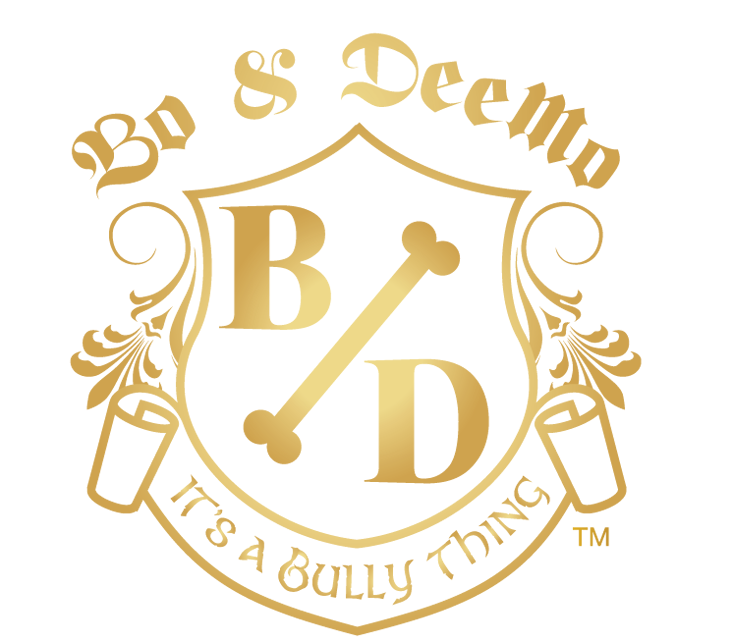 Bo & DeeMo will hold another class in the next month or two! Sheila of CANAH also made special cookies for all of us to snack on! Each classmate took home a BULLDOG BALLOON SCULPTURE and a Bo & DeeMo backpack SWAG bag filled with lots of goodies! 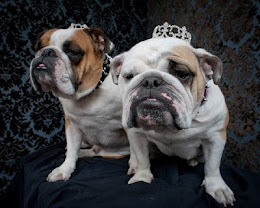 It’s A Bully Thing!